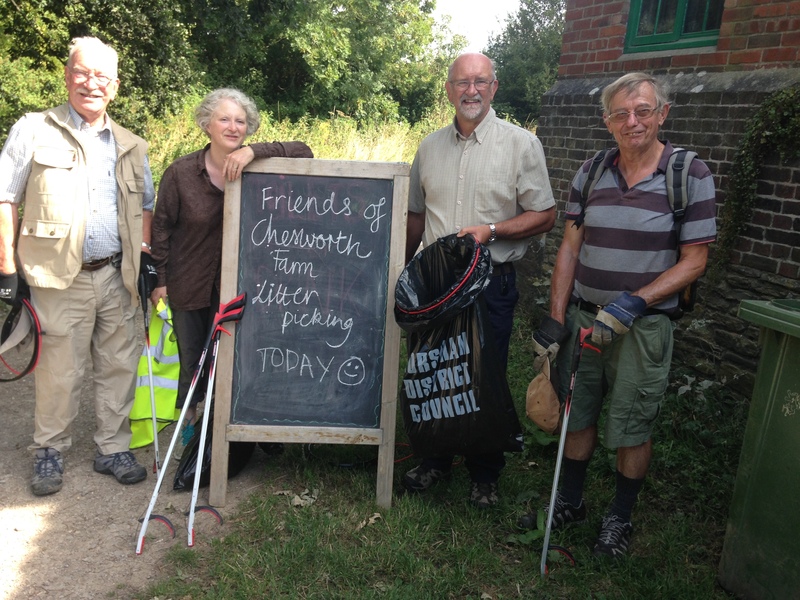 The Friends of Chesworth Farm are litter picking today and on the first Saturday of the month (not October) 14.00-16.00. The Friends now have an official HDC Adopt a Street litter picking team. You are welcome to come along. Litter picking equipment supplied. Wear clothes suited to the task and the weather please. Meet at the Volunteer Centre unless advised otherwise. We have set aside two hours, but only stay as long as you wish. If you have any questions, you can contact us, email chesworthfarm@hotmail.co.uk or tel: 07512 966174. If you would like to volunteer and park on site, preferably let us know in advance and we will let you in at the barrier. On the day, you can do this by telephoning our Friends phone: 07512 966174. Thanks to all those who already pick up and dispose of their litter – or tidy up others’ litter – when they visit.